Singapore has become the new, trendy place to be while in Southeast Asia, and, as an expat, I consider myself very lucky to have watched her turn into an urban playground for the travel connoisseur. A melting pot of several Asian countries, although founded by a Brit in 1819 (Sir Stamford Raffles), Singapore was originally conquered and occupied by the Japanese. She gained her independence in August of 1965 and has been a rising star in the financial world ever since. Some of the world’s biggest banks reside in Singapore, as it is one of the world’s safest countries. Though this doesn’t come without a cost. The city was recently voted the most expensive city in the world to live! She attracts many of the rich and famous, and it’s not uncommon to find stars like Jackie Chan, Miley Cyrus, or Hugh Jackman walking the streets of Singapore taking selfies with fans. 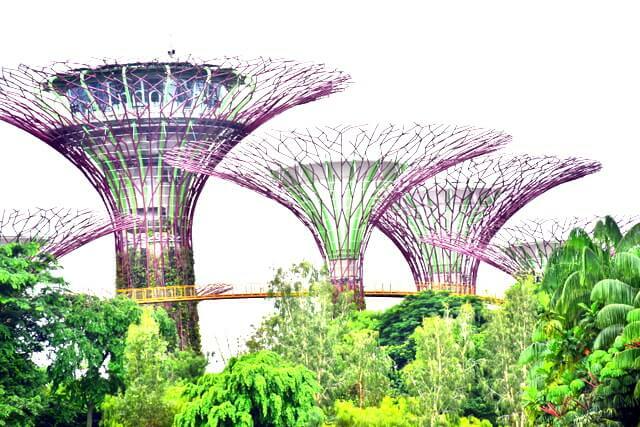 There is something for everyone when it comes to entertainment, food, and sightseeing, and the following are just some of the phenomenal attractions which make Singapore Southeast Asia’s trendiest playground. Nightlife in Singapore is abundant and for such a small island there are plenty of places to choose from. A great place for live-wire revelers is Chateaux. It boasts elegance and sophistication, is housed in an authentic historical site in Singapore, and has been catering to the clubbing experience for nearly a decade. If food is your passion, Singapore doesn’t disappoint. Singapore is a foodie haven with something for every palette. Go to places should include Capricci, an Italian fine dining eatery owned and operated by Massimo Squaro. His 20 years experience and passion for food shines through in the delectable dishes served at his charming restaurant. A favorite amongst travelers, and a restaurant I personally recommend whenever someone is visiting Singapore, is Mezza Nine. It’s located in the Grand Hyatt and offers diners literally hundreds of culinary delights. With its nine different dining experiences; steam basket, deli counter, wok, grill, seafood, Thai, yakitori, sushi, patisserie counter and a martini bar there is something for every palate and it is impossible to leave less than satisfied. Singapore has some of the most remarkable architectural designs, including the world famous Marina Bay Sands. Internationally renowned architect Moshe Safdie, from Las Vegas, designed the spectacular hotel/convention center/shopping center/restaurant/casino/theater and it truly is an amazing sight to see. A favorite thing to do is to ride to the top and take in the breathtaking views from the Sky Park. Only when you take in a 360° view do you gain a sense of how extraordinary Singapore truly is. Another marvelous architectural feat is the Gardens By The Bay. This is an attraction that encompasses three spaces where you’ll enjoy Super trees, a waterfront garden, and a vertical garden that generates it’s own solar panel and rainwater that acts as a ventilation system for the whole park. The most amazing part being…it’s all enclosed in an air-conditioned space! Now, how can you have plants from every corner of the world and successfully grow and display them in air conditioning? It’s simply remarkable! If shopping is your thing well Singapore is definitely the place for it. Orchard Road rivals Rodeo Drive or 5th Avenue and is where the shopaholics go to buy all the famous brand names. Be prepared to dig deep though, nothing comes without a steep price. 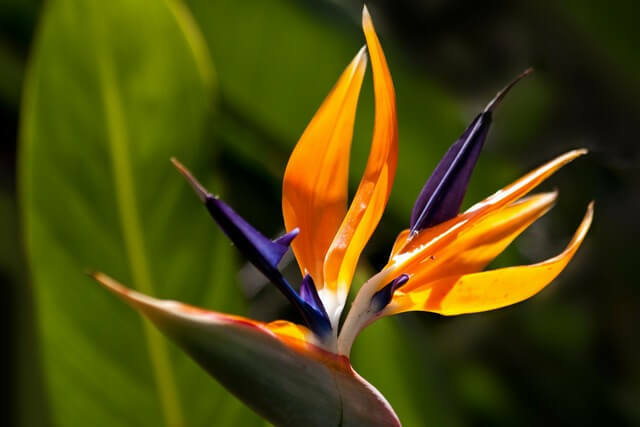 There is no shortage of things to do or places to see in Singapore, and its central location to some of the world’s best tropical islands makes it a fantastic base to discover the rest of Southeast Asia. In 5 years as an expat, I’ve never once been bored. Singapore is brilliant at keeping up with the demands of an ever-changing world and I am happy to call her home…for now! 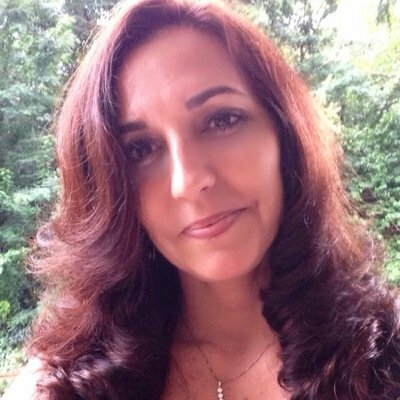 Marie Hernandez is a travel journalist/blogger, the founder and author behind SeriouslyTravel. Her passion for travel and food inspires her to seek new places to visit and new foods to try. Originally from New Jersey and now living in Singapore, she and her husband travel throughout South East Asia discovering the beauty of “the other side of the world”. Her desire is to inspire everyone to explore the world; even if it’s just in your own back yard. You can also find Marie on Facebook and Twitter. I definitely want to make a trip to Singapore. Perhaps just for the food. Grand Hyatt is now packed in the ol’ memory bank. Thanks for the tip. Food is an excellent reason to travel somewhere – especially Singapore! Happy travels! What a timely post! Thanks for sharing! I’ve got a day to spend in Singapore on my way to North America in a few weeks and I’m wondering if Marie could suggest what we could see/do in such a short time? I’ve noted the big attractions you shared in the article, but curious to know about local hideaways/cool neighbourhoods/etc. I’m more of an off the beaten path/street food eater/ back alleys explorer kind of traveler, so would appreciate any advice you can give on that. Hello Oksana. It’s great you’ll be spending some time in Singapore! There will be a lot you can do during that day you’ll have there. Closest to the airport there’s a place called Changi Village. There you’ll find a stretch of food stalls that offer the best in local food from around the region. About a mile from the airport is the Changi Museum. It’s dedicated to the memories of those who suffered in the Japanese Occupation of Singapore from 1942-194. 2 miles from the airport is Loyang Tua Pek Kong Buddhist Temple. It’s beautiful architecture is wonderful to see and it’s not so crowded. And finally there’s Tampines Mall which is really 3 malls in close proximity of each other. They’re you’ll find some great shopping, eateries, and a cinema. Jump in any cab at the airport and tell them where you want to go…the drivers are usually extremely knowledgable and happy to give you the inside scoop on Singapore! I hope you have a great time here! Happy, safe travels. Thank you so much for the recommendations, Marie! Glad to hear there is lots to do in close proximity to the airport! Miley Cyrus frequents Singapore? Now I have to go! haha JK. I’ve always wanted to stop over in Singapore and just check it out for a couple days, I have a few relatives who live there for work. Great list! Unfortunately, I only found myself at Singapore Airport a couple of times but never got the chance to see the city. Wouldn’t mind taking a selfie with Hugh Jackman though. Those gardens by the bay look gorgeous, definitely something I’d love to check out one day! I’ve also frequented the airport many times but not yet had the opportunity to check into the city. I think Singapore is soon going to see an influx of crazed women stalking the streets for Hugh Jackman lol! I dont think you could ever get bored in Singapore! 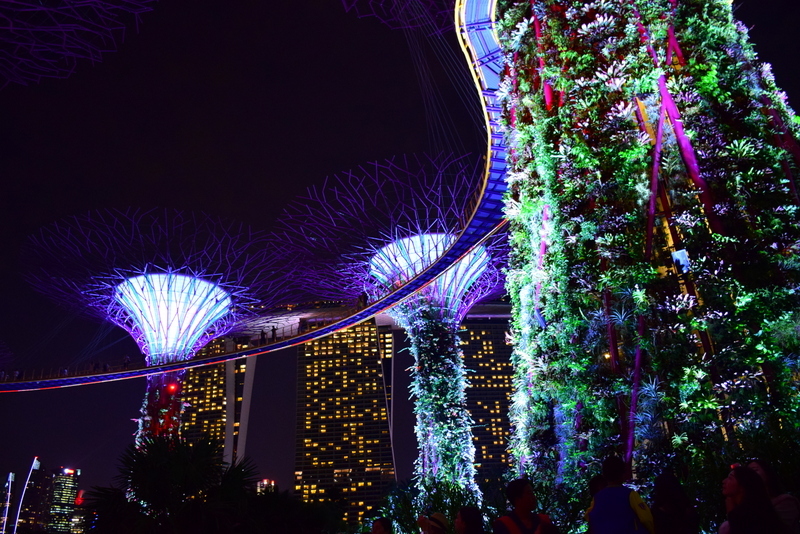 I would love to visit Singapore–especially the Garden’s by the Bay! Looks like a great city to explore! You and me both! Maybe I’ll meet you there! Have a wonderful trip! I’m sure you will have a fantastic time! Love the Gardens by the Bay! It looks beautiful, and it’s great it has solar panels and uses rainwater! Thanks for sharing!